Google Allo is a new application for Android that allows you a new experience of communication. A few days ago, Google Allo was updated to version 2.0, adding support for split-screen mode and quick replies. Today, the Pushbullet team updated the popular notification mirroring app to support receiving and sending Allo messages from PC. Isn’t that cool? All you need to do is get the latest version of Allo and have Pushbullet set up on both your smartphone and PC (links below), and you should be able to send and receive messages in no time. To set up the service, download Pushbullet from the Google Play Store, singn in the app and enable “Notification mirroring”. After that, simply download the Pushbullet client for your PC, and sign in with the same account. Although this isn’t a full-fledged Allo client for PC, it’s still a convenient way to receive and send Allo messages from your computer. 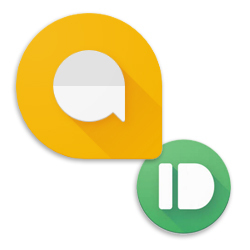 A stand-alone Allo client, or at least a Chrome plug-in like the one for Hangouts, is probably only a matter of time. Meanwhile, you can try this method.